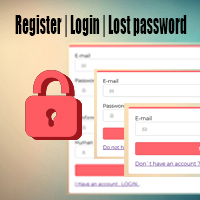 Simple PHP/MySQL Register / Login / Lost Password PHP script is easy to apply. Once the user is logged system writes a sessionAdmin/User demo: admin: username: admin at admin.com | password: admin user: username: demo at demo.com | password: demo or you can to register a new one. Please use a real email address for the activation link.